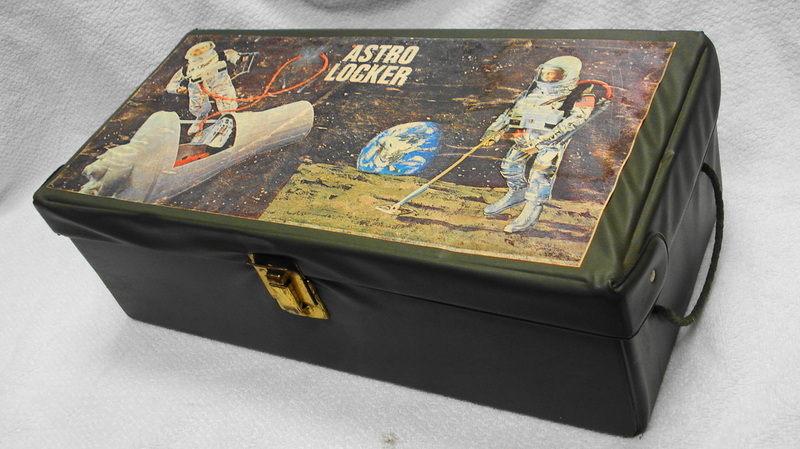 The Astro Locker (7942) featured box art from Spacewalk Mystery and Hidden Missile Discovery on the lid, and places to stow the gear from either set in the newly designed tray, of a style shared withe the Aqua Locker. The lockers were sold in stores with a cardboard band like the original version. If you can supply an example of the band for the locker, please contact me. See images of the rare vinyl version below. The GI Joe Talking Astronaut ponders why Hasbro didn't give him any gloves for space missions after 1968. Canadian collector and dealer Peter Stingl shared these images of his vinyl edition of the Astrolocker. It's essentially the same as the vinyl version of the original footlocker shown here. 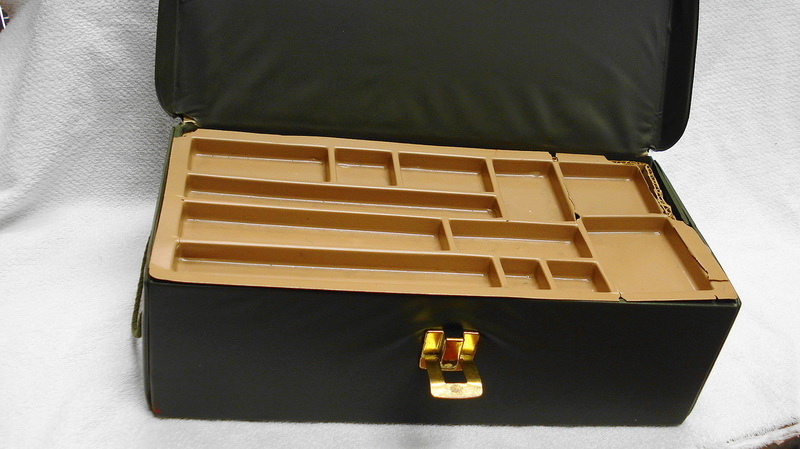 Note that the locker uses the standard footlocker tray and lacks the inner lid graphic that shows the correct tray for the wooden locker. 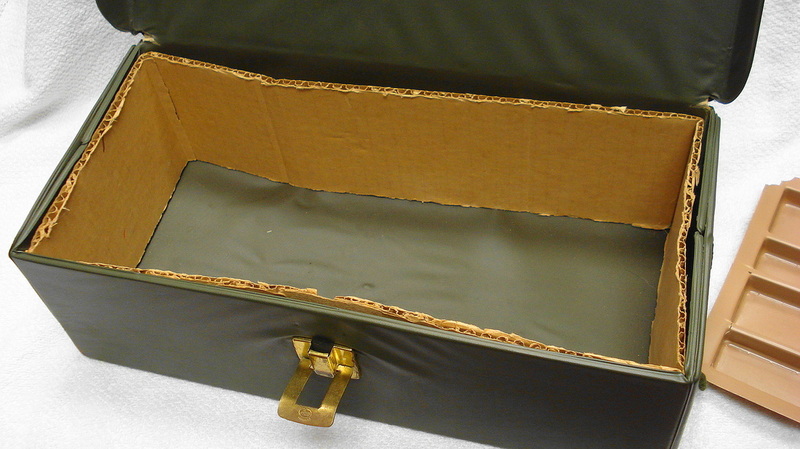 This example has the original cardboard band to hold the tray in place. It's my opinion that these vinyl lockers were exclusive to the Canadian market. Thanks for sharing Peter. Visit his shop here.